Partner and member of the Public Law and Regulated Markets group. He specializes in administrative, constitutional and urbanistic law, and regulated processes. Law, Universidad de Chile (2009). Master in Public Law and Public Services Regulation, Pompeu Fabra University, Barcelona, Spain (2010-2011). Regulatory and Antitrust Diploma, Universidad Católica de Chile Law School (2012). Foreign Attorney at Telecommunications Market Commission of Spain (2010). 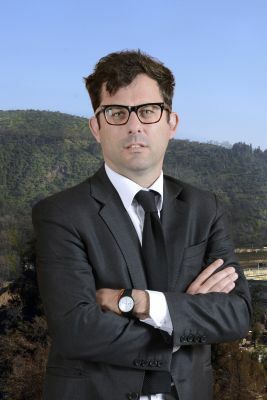 Foreign Attorney at Cuatrecasas Gonçalves Pereira (2011). Assistant Professor of Sanctioning Processes and Juridical Practice Workshop –Probity and Transparency course-, and of the Administrative Law course, Universidad de Chile Law School (since 2013). Professor of Urban Applied Legislation Mechanism and Territorial Planification Diplomas, Pontificia Universidad Católica de Chile Architecture, Design and Urban Studies School (since 2015).